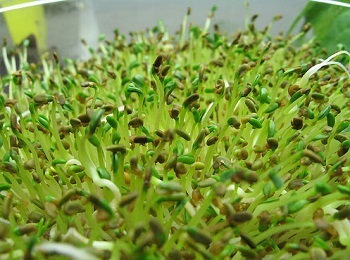 Hydroponic gardening is simply growing plants in a water and nutrient solution without soil. Hydroponics allows you to grow plants and fruits and vegetables in a more efficient and productive manner; literally anywhere, with less labor, time and gardening area needed. Hydroponic gardens can be grown indoors, outdoors, and even in small spaces, using several different methods. These methods include growing plants in containers of water or in other soil-less mediums, including sand, crushed rock, gravel and vermiculite. The science of hydroponics proves that the only things needed to grow plants are water, nutrients, and a method of delivering the plants food to the root system. The soil itself is simply the backbone for the roots so they have a stable place to grow. Although hydroponic gardening can be done outdoors, most gardens are indoors or in a greenhouse. Because hydroponic gardening is so efficient, very little space is needed compared to a conventional outdoor garden. In hydroponic gardening, you provide the exact nutrients that your plants need by directly feeding the root system, without ever having to stress the plant due to lack of nutrients or water. 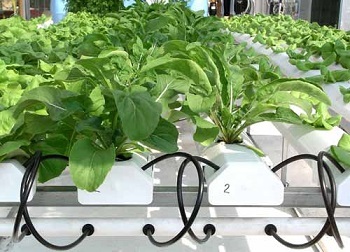 Hydroponic gardening is superior to traditional gardening in most cases. If soil everywhere was of high quality, and if everyone who wanted to grow plants owned the ground to plant it on and had the time to cultivate it, then hydroponics might be rarely used. However, soil varies greatly in its quality and consistency. When we plant outdoors in the best of soils, large amounts of fertilizer are not needed for proper growth. Many of us, especially city-dwellers, townhome owners or apartment and condo dwellers lack even a small plot of land to grow plants. Even if you live in the tiniest of apartments you can raise fruits, herbs, vegetables and flowering plants. You can raise plants hydroponically in pots or individual containers and adapt your hydroponic garden to any size space available.